Many kids in Baarali village in Udupi, India drop out of school due to the nearly 2-mile trek through forest to reach the school. So, one of the school’s teachers bought a bus and now drives the kids to and from school to ensure they get a good education. “There are no roads from the houses of the children to the school. There is a mud path through the forest and most of the girl students began dropping out as their families were scared of allowing their children to walk for a total of 6 km to and from school,” said Rajaram, the science and math teacher at Baarali Government Higher Primary School. Saddened by the state of affairs, Rajaram reached out to Vijay Hegde, an alumnus of the school who runs a property management company in Bengaluru. “Every week at least five to six students were not turning up. 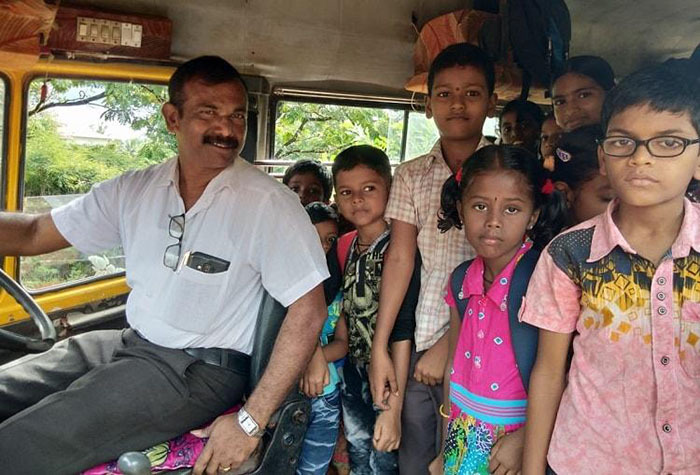 I called up one of our former students – Vijay Hegde and proposed the idea of buying a bus to pick up and drop the children,” Rajaram said. 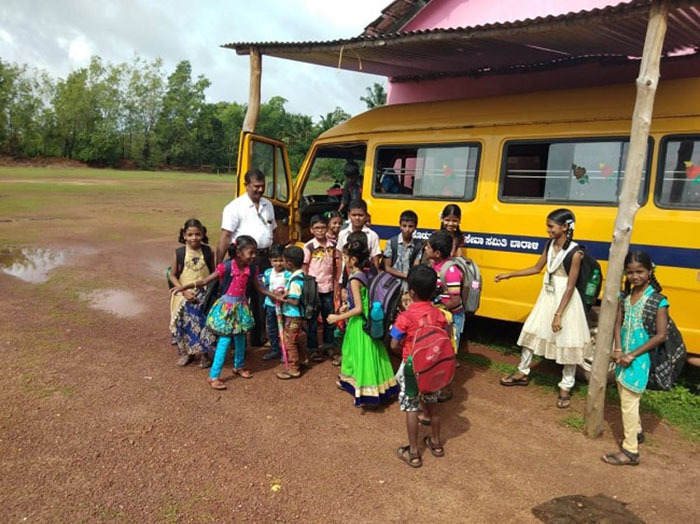 About six months ago, Hegde, another alumna of the school and Rajaram pooled in money and bought a bus for the school. Rajaram could not afford to pay a bus driver, so he decided to drive the bus himself. “I live on the meager salary of a government school teacher. I could not afford to pay for a driver. Hence, I decided that I would learn how to drive the bus and do the task myself,” he told The News Minute. Every morning, Rajaram leaves home early in the morning and completes four pick-up trips. “The school starts at 9.30 am and I make sure that all students are on time. There are three teachers including me and a headmistress in our school. One of the teachers comes to school before the students from the first trip reach school. The teachers stay back in school until all the students are dropped off and I come back to park the bus,” Rajaram says. Rajaram also spends money from his own pocket on vehicle insurance and gas for the bus. Rajaram says after the pick-up and drop facility began, the school’s attendance increased from 50 to 90. Now, he wants to construct a track for the school so the kids can participate in sports.